Hello lovelies, recently I have been looking for a nice light summery fragrance and thought back to last summer when I got some perfume samples when I bought a perfume from The Fragrance Shop. I had two samples, one of which was Marc Jacobs Daisy Dream and I really loved it. I wrote a blog post about the samples which can be found here, but Daisy Dream deserves a full post about how awesome it is. When I had a sample last year, I found that the scent seemed to fade but since having the actual bottle of perfume I have not had any issues with it. I thought I would give it a try after seeing so many bloggers rave about it and as I was constantly see it on a stream of Instagram posts by beauty bloggers. This is the perfect summer fragrance, it has floral notes with hints of blackberry, jasmine and wisteria. I love the mixture of flowers and fruits, it makes an amazing fragrance and I really like the blackberry note in there. It is a sweet summer scent that lingers all day and it smells amazing on my skin. If you want a nice summery floral perfume then this is the one for you, I could not recommend it more!! This is now one of my favourite floral perfumes and it really does last all day. The packaging is adorable and so cute, how could anyone not love it. I love all of the Marc Jacobs perfume bottles, they are all stunning and this would make the perfect gift. The bottle is elegant, classy and I genuinely think it is one of the prettiest I have ever seen. It's nice that the white flowers aren't just on the lid but continue onto the bottle and whoever designed it, did a fantastic job as the bottle alone made me want to buy it. 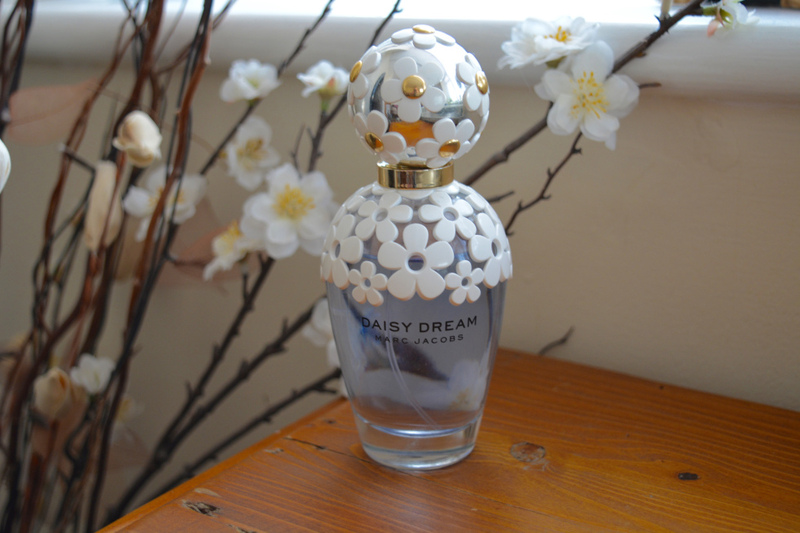 Marc Jacobs have recently released Daisy Dream Forever, which is a slightly stronger concentrated fragrance than the original Daisy Dream. It's top notes are pear, fresh grapefruit and sweet blackberry then goes into the softer scents of wisteria, jasmine and litch. The new perfume has a more aqua flower look to it, the daisies are blue instead of white like the ones on the original bottle. I really love blackberry and grapefruit scents so will definitely be buying this in the future.